Express Service means faster and more convenient for you! A 12 minute Oil and Filter change. Any additional services outside of the Express Service will be taken care of by your regular Service Advisor and Honda Factory-Trained Technicians. 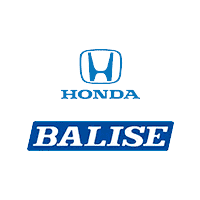 Servicing your vehicle can be a pain, but we aim to make it easier at Balise Honda of West Warwick! If you’re looking for quick, easy, and affordable service, we offer our customers our Express Car Service right here at our dealership in West Warwick, Rhode Island. We don’t just service your trusty Honda model, but we also service all makes and models for your convenience. We are your one-stop-shop for the best maintenance in town! We help our neighbors in Coventry, Cranston, Johnston, and Providence take care of vehicle maintenance quickly so they can get on with their daily lives! While it’s important to service your vehicle regularly to keep it in tip-top shape, we understand how difficult it is to squeeze that into your daily schedule. Something as simple as an oil and filter change can be finished in mere minutes at our convenient location! It is just 12 short minutes for an oil and filter change – and you’ll never get our of your vehicle! If you’re interested in learning more about the services we offer at our dealership, give our Auto Service Center a call or drive on over at your earliest convenience. See you soon! No appointment needed! Just pull into our service drive and one of our Service Advisors will be there to assist you.